Fun and Function is one of my go-to online stores for anything & everything Special Needs! I was recommended to them years ago & quickly fell in love, I have purchased many items from them for my son, I even won a Facebook giveaway last year & I'm happy to feature them again here at IHeart-Motherhood! Aviva Weiss & her husband, Haskel launched Fun and Function in 2005, Aviva was a pediatric occupational therapist & had a child who had sensory processing disorder. Today, parents, teachers & therapists value the innovative products that Fun and Function has to offer to children on the Autism spectrum, have sensory processing disorders, speech/developmental delays as well as other challenges. From weighted vests to swings, chewies, lap pads & more, whatever you are shopping for, Fun and Function has the products & toys that are perfect for the child in your life with Special Needs! I was sent a variety of Squoosh Pets Fidget Toy from Fun and Function for My Big Guy, these fun, adorable & squeezable pets are fun to share & collect! The Squoosh Pets are the perfect size for little hands, great for hand writing warm up, they are fine motor friendly & can even be attached to your child's backpack! My Big Guy loved the Squoosh Pets Fidget Toy, I didn't even have to tell him what to do with them. He picked one up, squeezed it & to my son's surprise, the little guys eyes popped out, he started laughing so hard! All of the Squoosh Pets are great for squeezing, please don't put it in your mouth & they are recommended for ages 8 & up. The Squoosh Pets Fidget Toy can be purchased online at Fun and Function in a variety of assorted packs. You can also stay connected with Fun and Function by liking them on Facebook & tweeting with them on Twitter! Definitely going to share with my bff - thank you for posting! These are very cute, I think I like the dog, the monkey, and the frog. Thank you for this review. Love the concept of this product and anything that assists children in need! Very cute! All six of my grands would love these! I never heard of Fun and Function before your review, but I think this is a wonderful site, and not just to buy for developmentally challenged children. 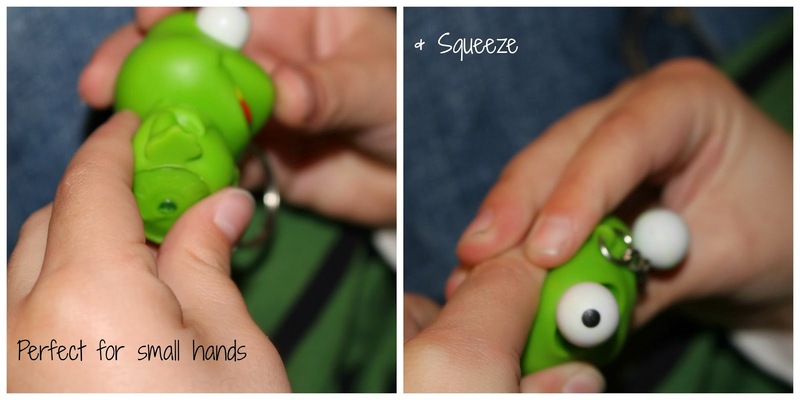 I love the Squoosh Pets Fidget toy you reviewed.